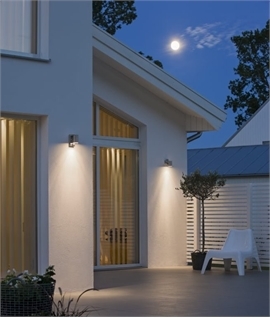 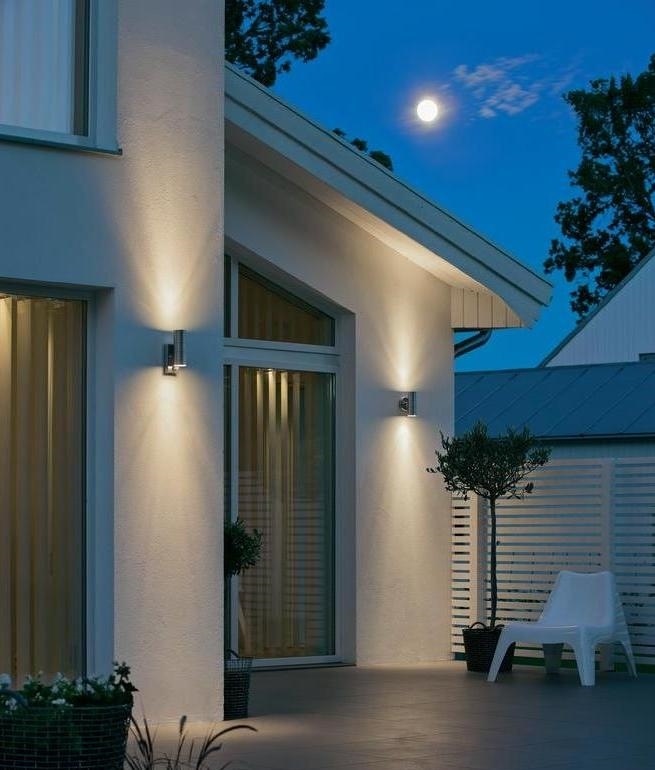 PIR or motion sensor lighting is great for installation next to a doorway, on walls around the home or garden fences to provide lighting when motion is detected. 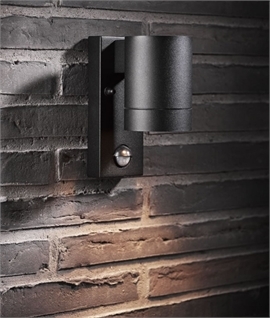 Particularly great if you cannot find your keys easily or you have a particular dark area you require illuminating when you walk to it. 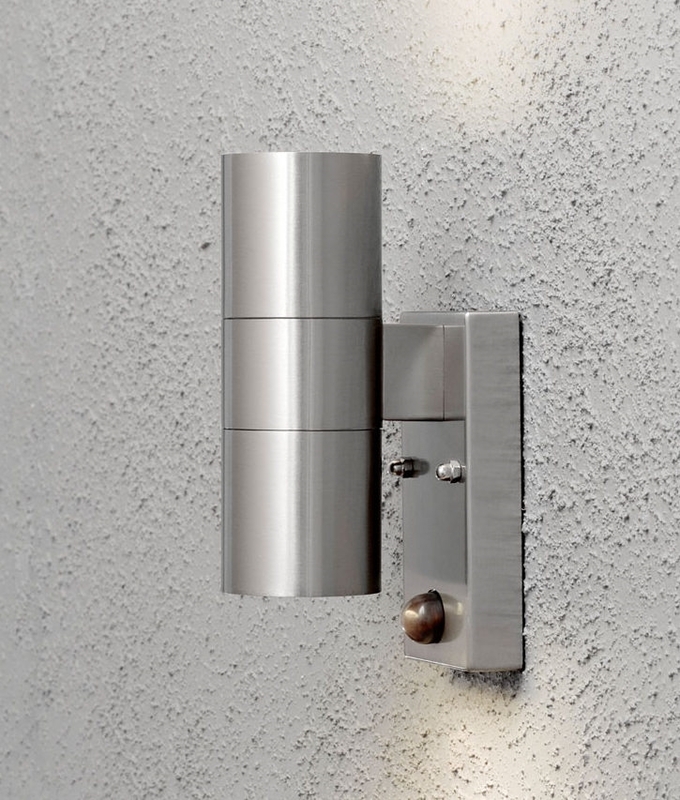 This PIR wall light has lamps top and bottom to provide architectural lighting. 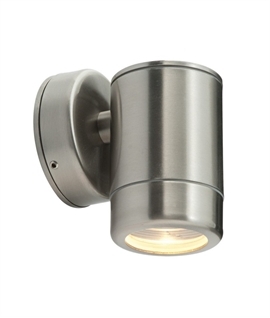 Available in two finishes either stainless steel or galvanised steel. 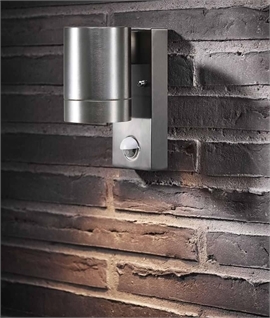 The galvanised steel version is hot-dip galvanised and the texture can be quite rough with a bright zinc finish. 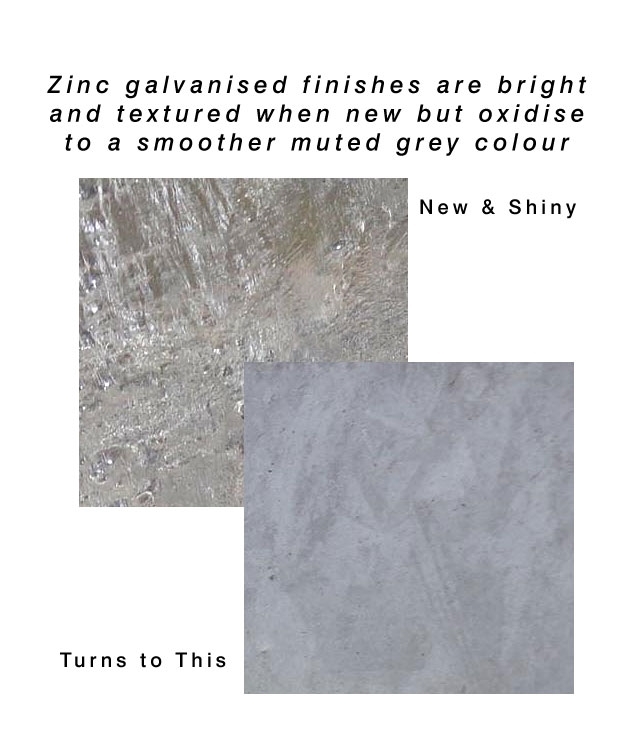 The harshness of this finish quickly fades as the surface begins to oxidise and take a grey hue like a prized galvanised steel watering can (but without the holes). 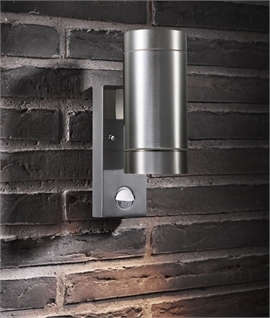 Motion can be detected from 8 metres with an angular range of 140 degrees, forcing the light to turn on and remain lit for a total of 60 seconds. 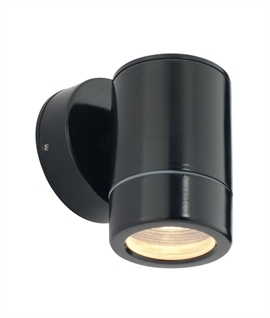 The fitting is designed for use with 2 x GU10 base mains lamps up to 35w max, they can also be used with LED GU10 lamps for energy efficiency, please call us if you are unsure which lamp to choose. 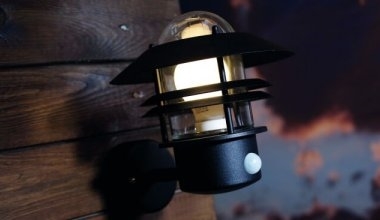 A single lamp smaller version is also available, see related products below. 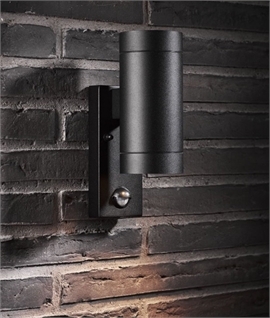 This fitting can be overridden if used with 4 core and earth cable. 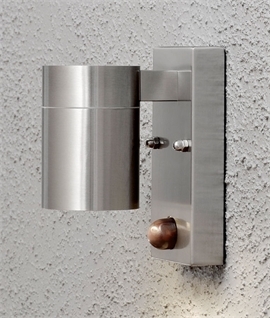 This will allow you to switch the light on when required. 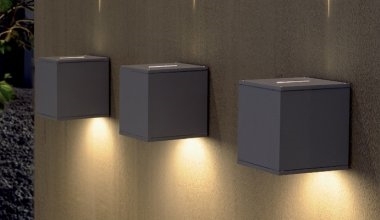 Is there a manual override function on these lights? 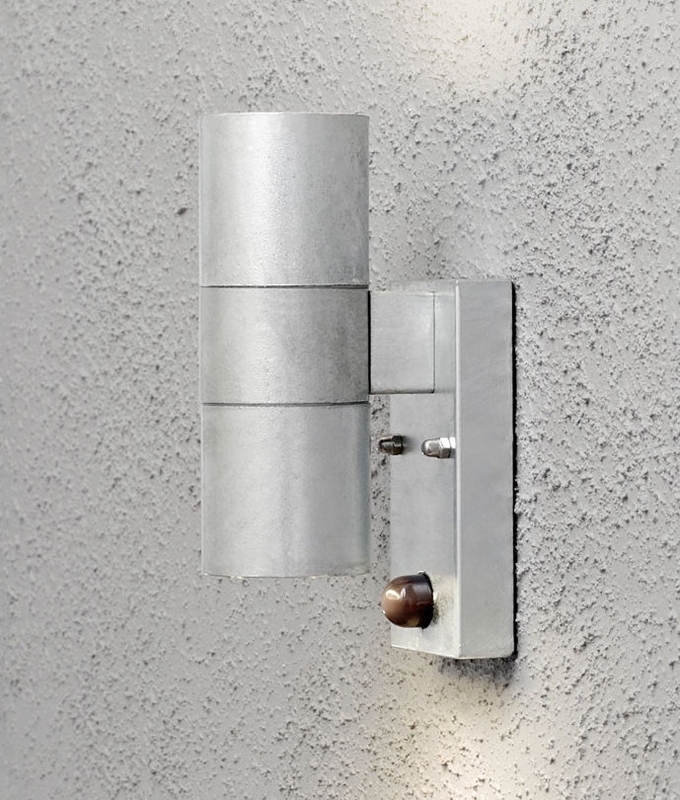 This fitting can be overridden if used with 4 core and earth cable.